Nice hearing from you again! 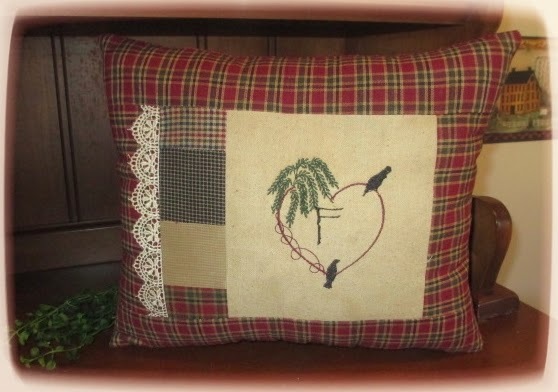 Love your prim pillow. It's hard to keep up with everything. I resurrected my blog after 2 years and it's interesting to see all the "bloggy girls" have stopped. The ones that have kept blogging don't publish as often either. Such a shame. Guess we've come to a 140 characters or less kind of society. In any case, welcome back to the land of blog. I've been having lots of trouble with facebook. I was forced to turn my account into a page but I hate it because I can't interact with anyone. I have to "be a business" even though I didn't sell on there. Anyway, I'm back to blogging after a hit and miss couple of years. Feels good to be back, sure have missed it and all my blogging friends! Recovery takes a long time, doesn't it? It's so very hard to be patient. I discovered that last year. I hope your arm is healing nicely and all is well with you, miss you!